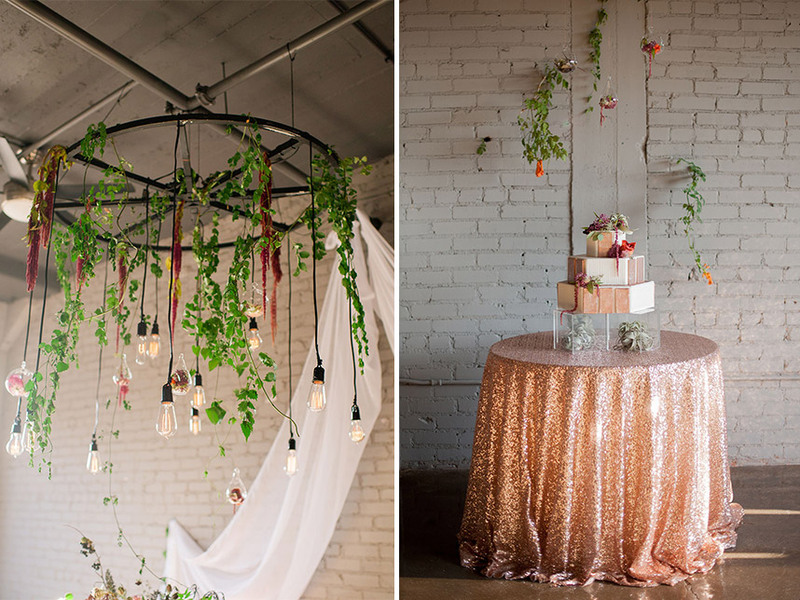 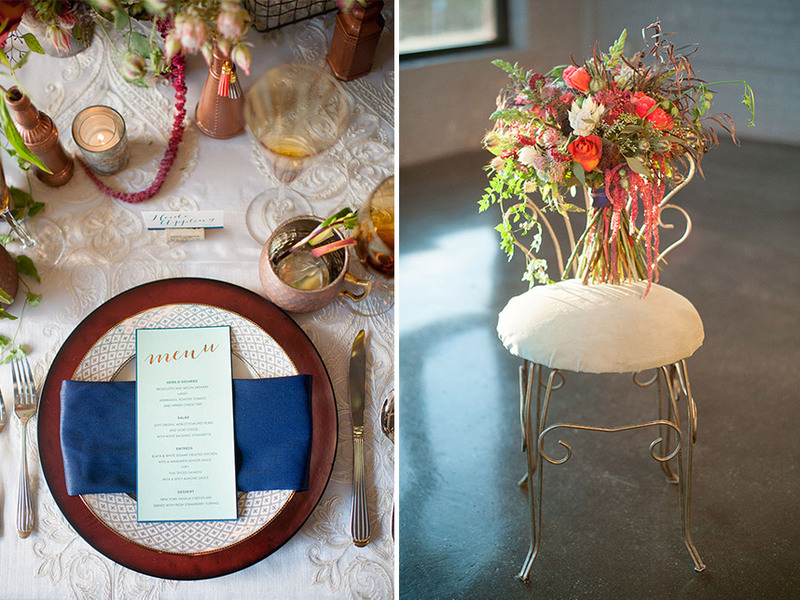 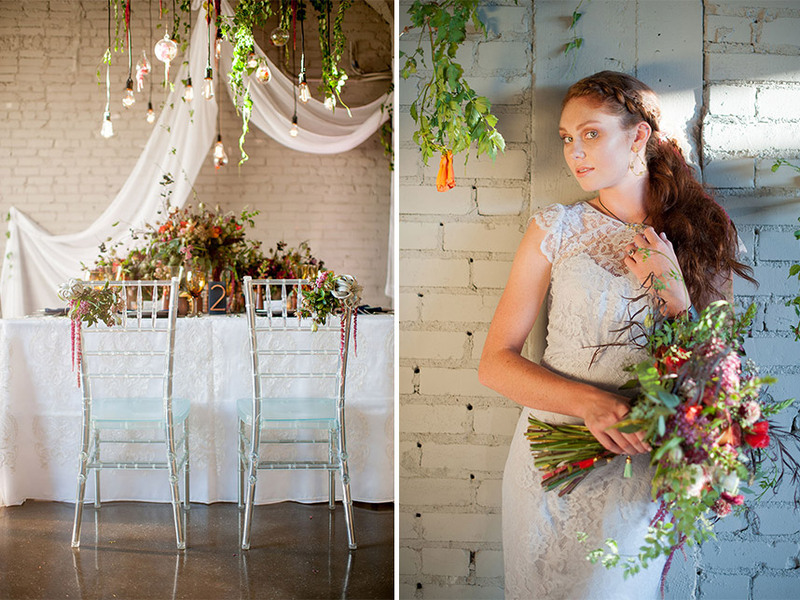 We are crazy about this industrial wedding design by Emerson Events at Waters Edge Winery! 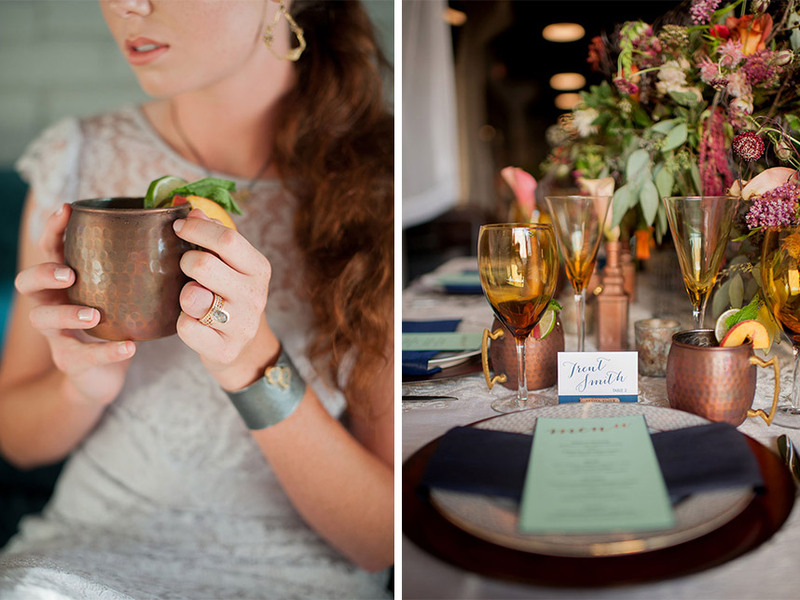 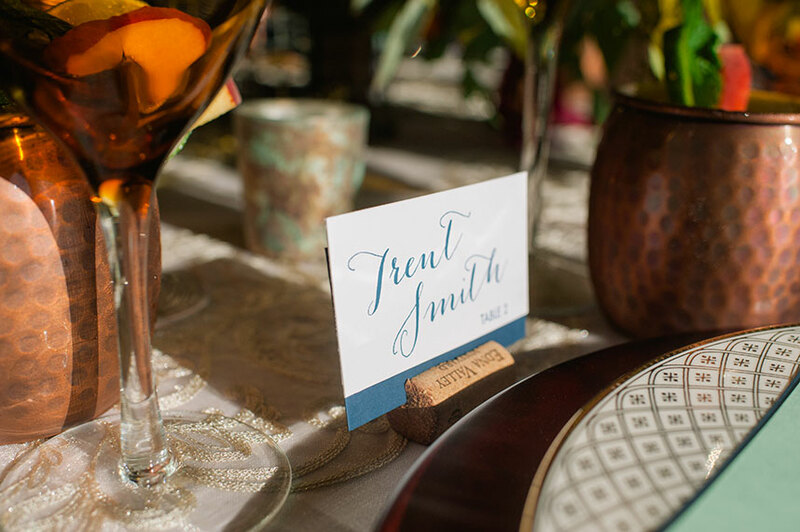 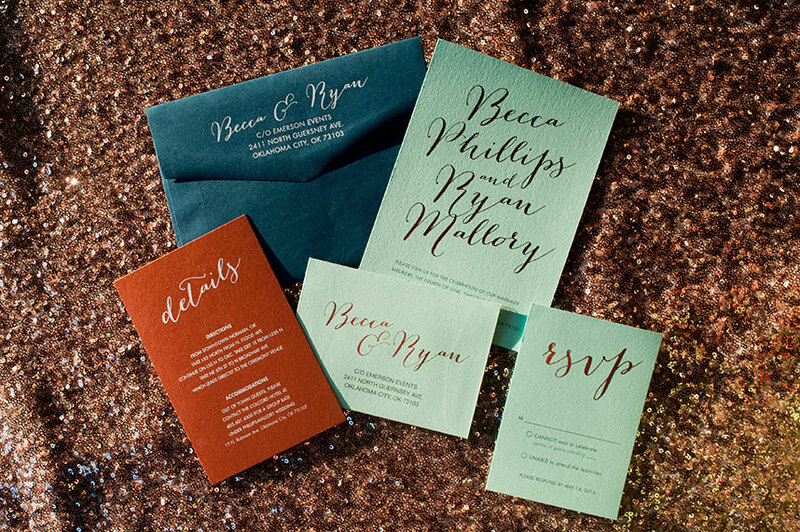 Candi Coffman Photography definitely caught the mood of the design in her photos. 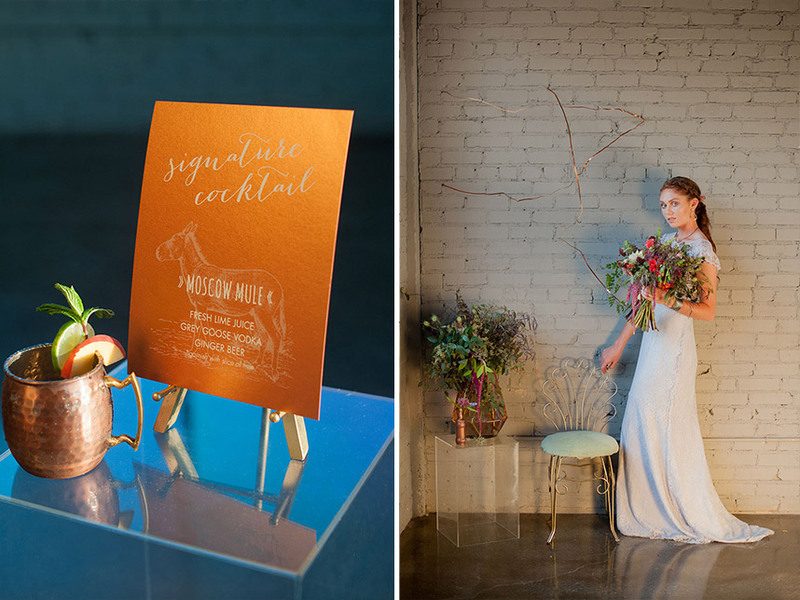 Innovative Event Solutions provided the incredible vintage lighting to set the scene, and Loni Jane Creative made the swoon-worthy paper pieces that were full of character and charm. 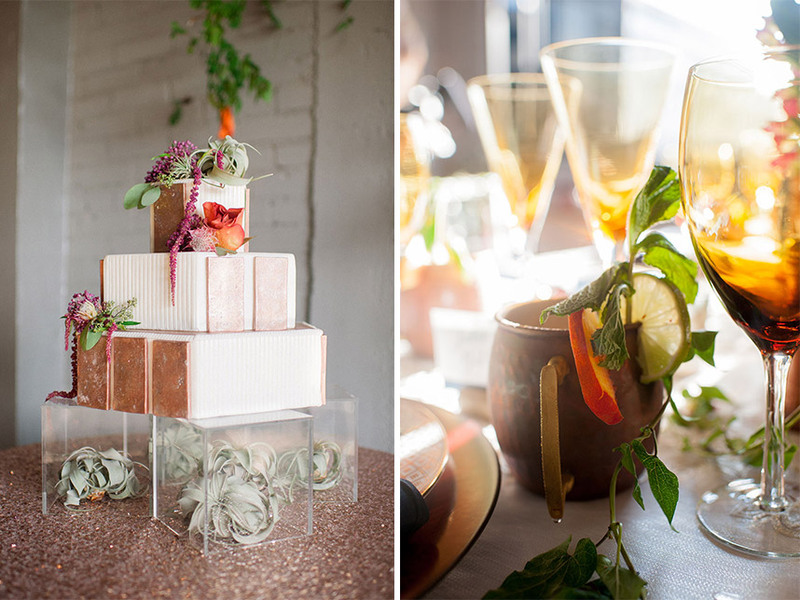 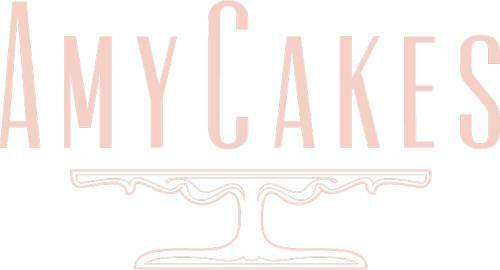 Amy Cakes combined all of the design elements into one amazing cake adorned with succulents and metallic accents. 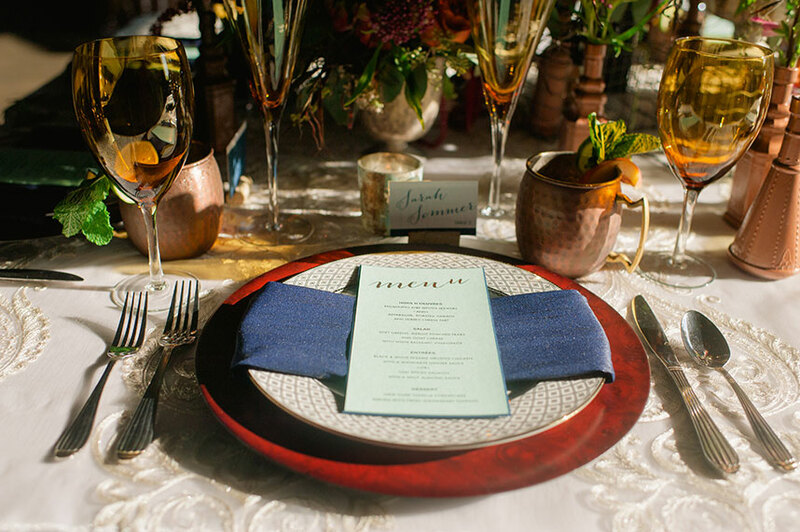 Marianne’s Rentals for Special Events provided the beautiful place settings and linens, perfectly complemented by the lush and moody florals constructed by Emerson Events. 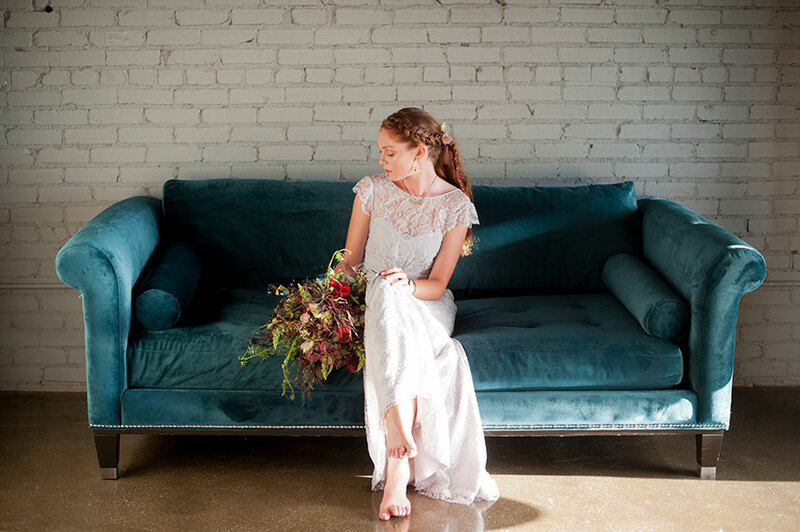 The gorgeous model wore a stunning, fitted dress from Prim, which was enhanced even more by the amazing hair and makeup created by the talented team at blo. 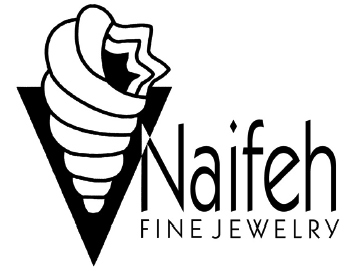 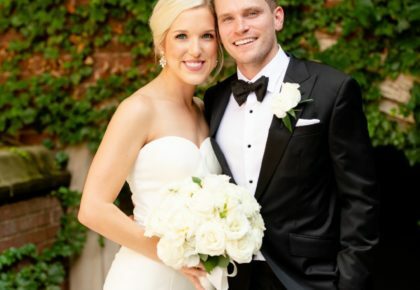 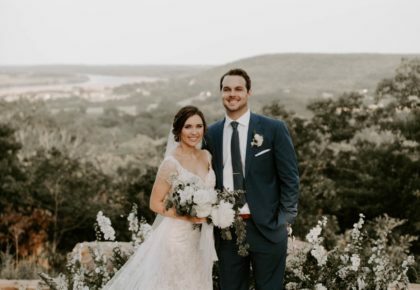 The modern jewelry from Naifeh Fine Jewelry was the final touch that tied the bridal look together perfectly. 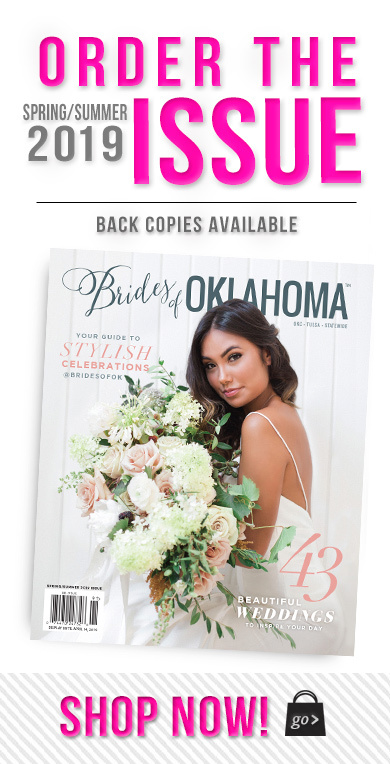 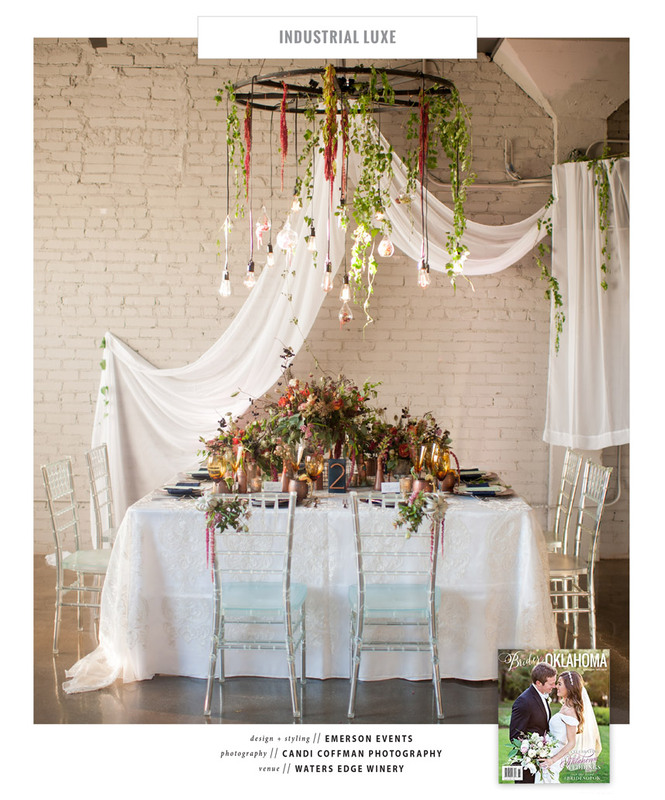 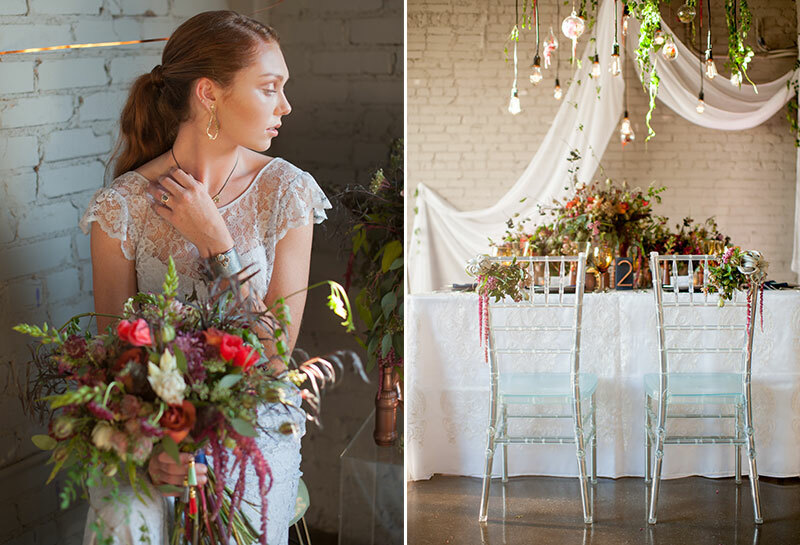 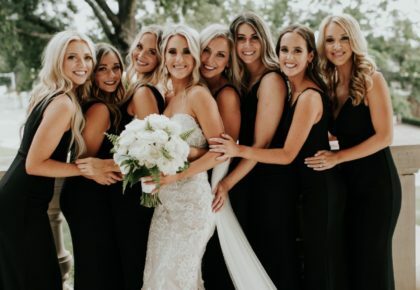 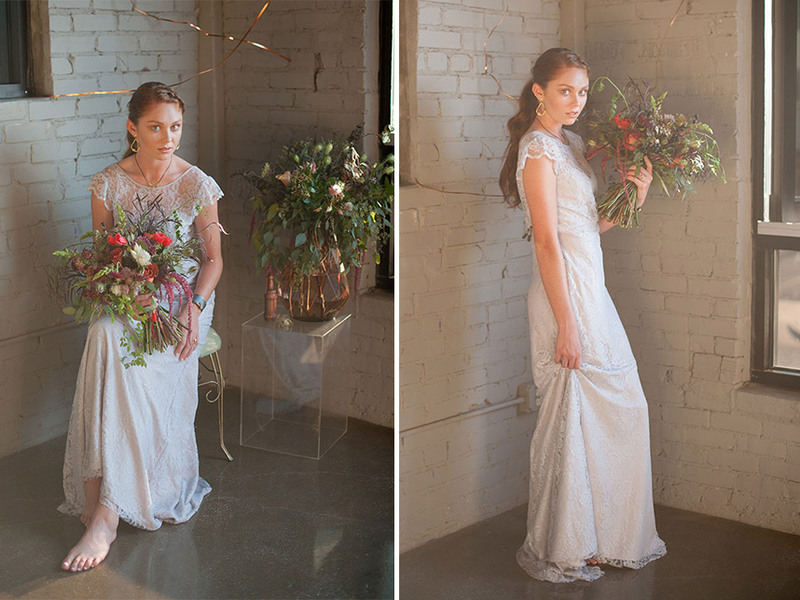 Be sure to pick up a copy of Brides of Oklahoma to see more from this luxe industrial shoot, and watch the awesome behind the scenes videos below by Ethnos Creative below!